My current Brazilian Mauser collection. 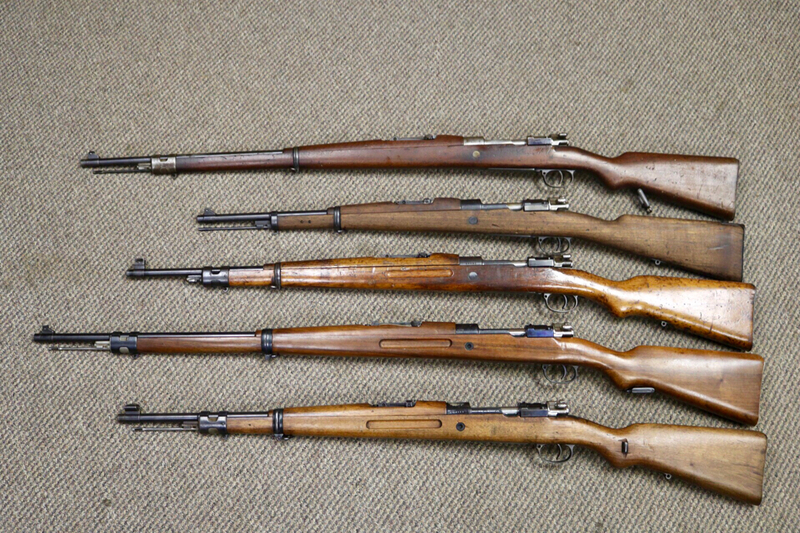 All are all matching except for the 1922 Carbine which is mostly matching. The stock and bolt parts were replaced however the bolt handle and other parts are matching. Do you have any actual Brazilian original slings to show? Please how about a nice crest view. 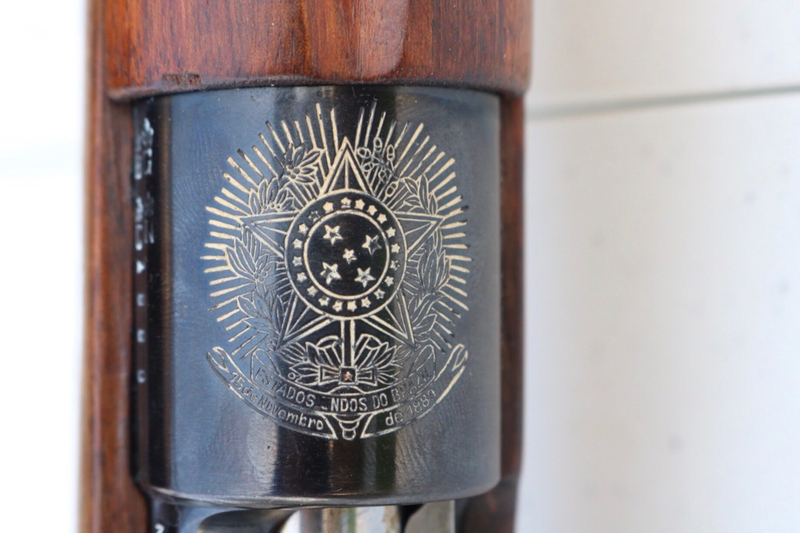 Do they all have a Brazilian crest on the rifles? 72 usmc wrote: Do you have any actual Brazilian original slings to show? Thank you . I got to look at my Chilean mausers. Sounds like I got the wrong slings from Gander. Maybe they are Brazilian or Spanish. They have not been out in 12 years. 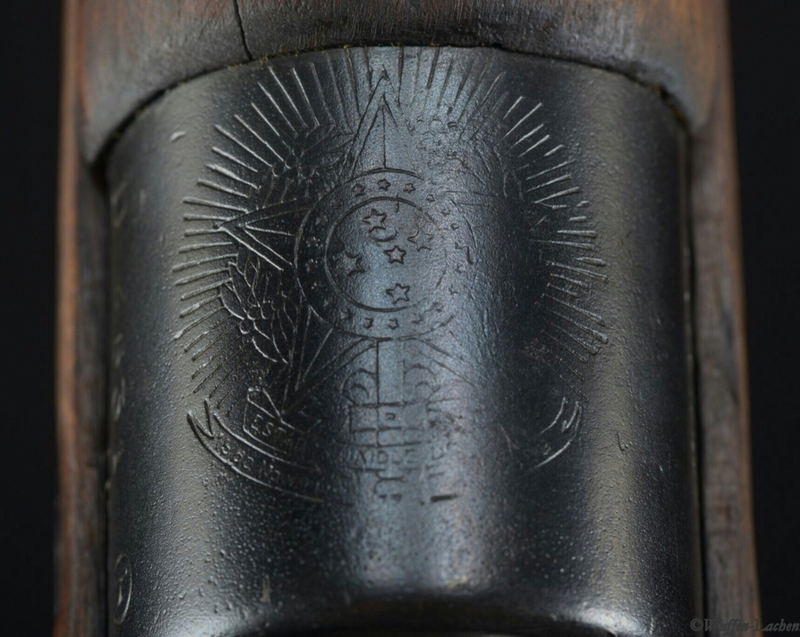 Those are some nicely stamped intact crests that have not been worn smooth. We no longer see South American Mausers at guns shows in Wi unless they are the old SAMCO beater Spanish ones. Nice ones like yours would be a good find. 72 usmc wrote: Thank you . 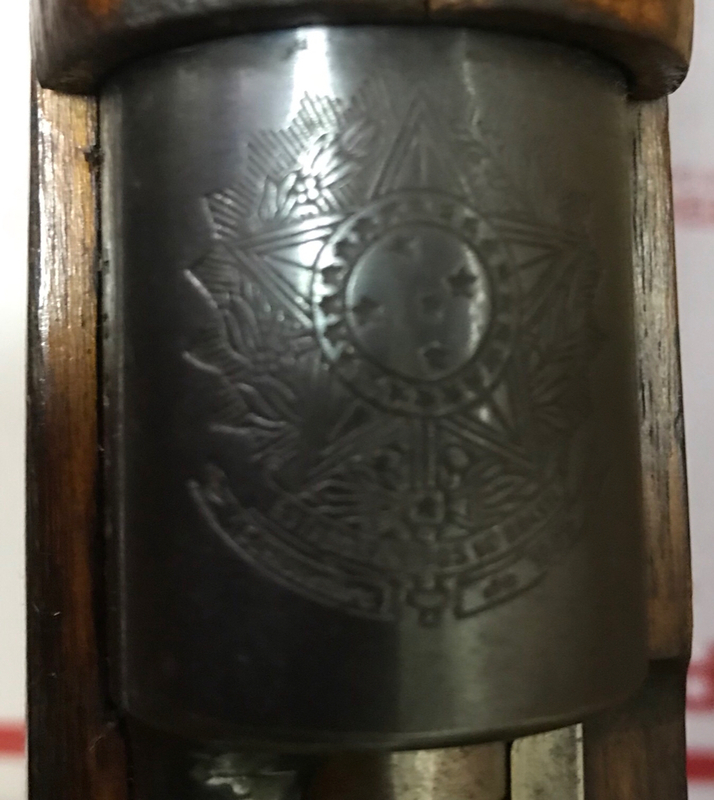 I got to look at my Chilean mausers. Sounds like I got the wrong slings from Gander. Maybe they are Brazilian or Spanish. They have not been out in 12 years. 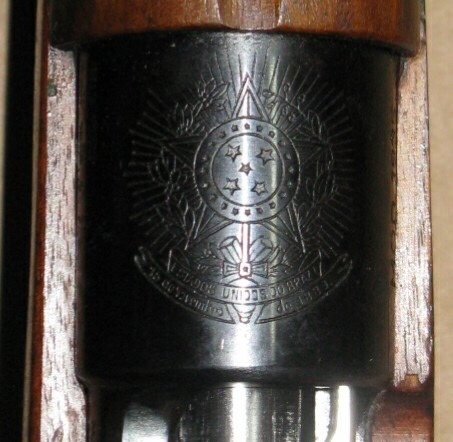 Those are some nicely stamped intact crests that have not been worn smooth. 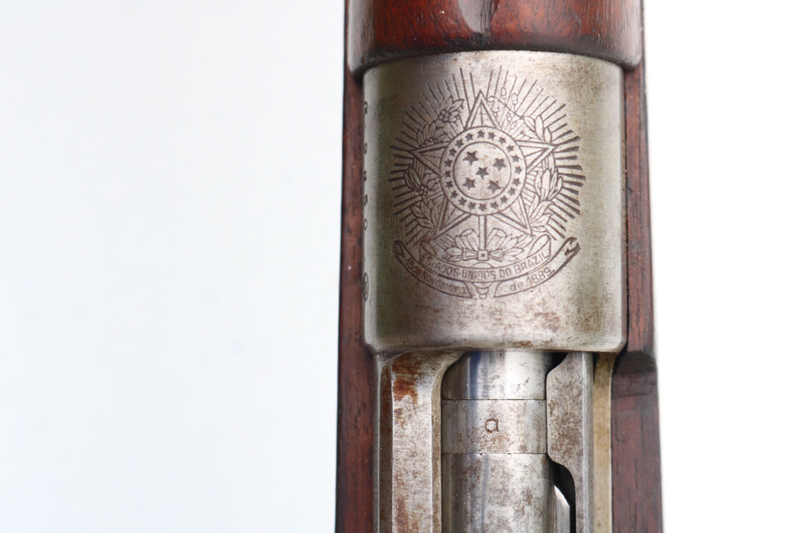 We no longer see South American Mausers at guns shows in Wi unless they are the old SAMCO beater Spanish ones. Nice ones like yours would be a good find. Thank you. I have pics of the correct Brazilian slings that my friend in Germany has on his 1908 and 1935 I will try and dig them up and post them. Wow, did not realize that Brazilian Slings were so high... But I guess it makes sense, all that Heat and Humidity down there plays hell with leather..